This is the next entry in a Theatre… a Movie… and a Time, a series that was begun here. For this memory download1, I finally follow-up on something blogger Nostra posed as a question in his 2012 Movie Confessions Blogathon. I credit putting forth this answer care of the recent news that an old venue, a local establishment I once haunted in my youth, would be making a comeback this year. That and giving up determining the movie that spurred us. The answer is a quasi yes. Summer 1969: The peaks and valleys that accompany teen years are legion. Junior high, these days known as middle school, introduced angst to us soon-to-be aware, socially inept, males hitting puberty. School dances made that painfully clear to those mindful few. The great thing about junior high was that it only lasted three years. Ninth grade our top-tier, seemingly gave this soon-to-be fifteen year old high-rung status. Valley, here we come, as this remains one of the out-and-out false summits in life. I say that because high school was a mere summer away. The only friendship I still know to this day, from that time, began in junior high. Like me, he’s still kinda nerdy. We hung out, dealt with school, sports, and, naturally, girls. We were especially excited in knowing that getting our driver’s licenses lay in our immediate future. This can’t be overstressed. L.A. being a car town and all, then and now. By this time, few of us hadn’t been to at least one movie at a drive-in. Something “All but erased from the Southern California landscape decades ago…”. But back then, I could count four unique automobile theaters within four miles of where we lived. Most visited with parents or relatives. Of course, that got old. The distinct independence of driving yourself there, alone, preferably with a girl, the ultimate goal. Till then, it was just waiting. Still, since most teens had little money, a car, or dates for that matter, we had to do something. Especially on a weekend. What did my kid brother, his friend and mine, and I come up with one summer Saturday night? No such things as malls to hang out in back then. Shopping centers closed up fairly early. No, we settled on going elsewhere. 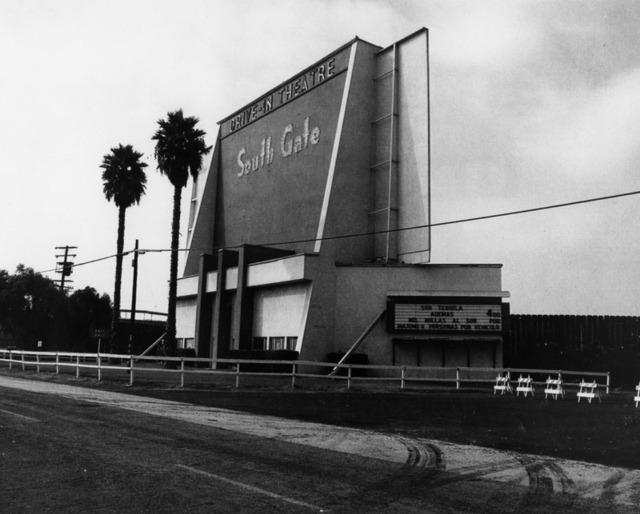 The South Gate Drive-in to be exact. How, given the circumstances? We walked. One of us came up with the idea of trudging down the railroad line that ran behind it. Sitting on the partially elevated track, watching the outdoor screen at a distance. Straining to hear the sound wafting out of the cars and trucks parked at the back. Dreaming of being in a one, with fogged over windows, like those in front of us one day soon. Congrats on 500! Wow! Southgate looks swell. I miss my drive-in. 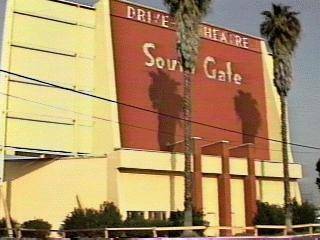 I have faint memories of sitting in the backseat as my mom and dad watched movies at our local drive-in. We actually had a drive-in theater in this small town of 6,000 people. Sadly that was a long time ago. As to the question, I can honestly say (to my memory), I have never slipped into another movie. 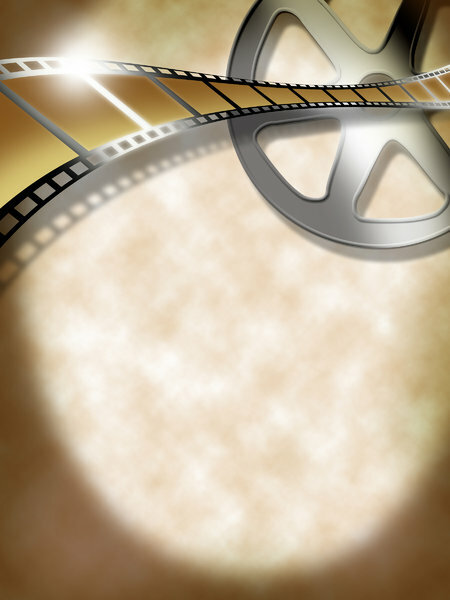 I have walked in the door and watched about 5 minutes of a movie I had previously seen but I was out quickly. And congratulations on number 500. That’s fantastic. That’s a great memory, Keith. There’s only a small handful left in L.A.’s surrounding suburbs today. Thank you very much, Keith. Congrats on 500! I never sneaked into a drive-in movie, only the walk-in variety. We still have one drive-in in town. During good weather (which we may never see again) the drive-in grounds hold a flea market on weekends, movies at night. Oh, I was smuggled in to the Hwy 39 Drive-in…in the trunk! Congrats on #500! That’s a very impressive feat. And I’m very impressed that that is your only sneaking story. It’s the old timey version of pirating, yes? 🙂 What a well behaved lad you were. I did quite a lot of movie sneaking in my teens. Our drive-in had (still has, actually, as both businesses are still open) a rock business right next to it so you could climb onto huge piles of rocks and watch the movies with the sound coming quite clear from the multitude of speakers hooked over car doors. Right around the time I graduated and moved away, the drive-in upgraded to broadcasting on a radio station making the rock pile option more of a silent movie kind of deal.